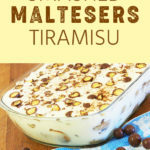 Smashed Maltesers TiramisuOh My. Spank me please! 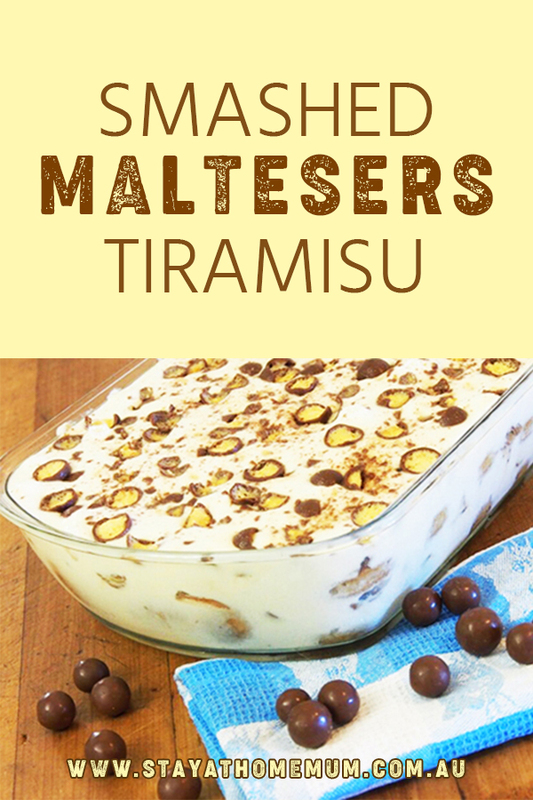 Smashed Maltesers Tiramisu is a rich, decadent, naughty dessert that is terrible on both the waistline and the sugar count..
..but who doesn’t love to be a little naughty! This recipe serves a HUGE 18 people comfortably. Perfect for a special birthday (grown-ups that is), Christmas or for a dinner party! Best made the night before and kept in the fridge until ready to serve. In large mixing bowl beat egg yolks and sugar for one minute. Add sour cream, double cream and Kahlua and vanilla. Mix until smooth. In a separate bowl beat the egg whites until stiff but not dry. Fold the egg whites into the cream mixture. Quickly dip sponge fingers into the coffee one at a time and arrange neatly in a large baking dish. Use 15 biscuits to cover the bottom of the dish and spread half the cream mixture over the biscuits and sprinkle with smashed Malteasers. Repeat the soaked biscuits and cream layer, then top with the remaining smashed Malteasers. Cover tightly with cling wrap and refrigerate for four hours or overnight. Serve with a dollop of cream and cup of coffee! Smashed Malteaser Tiramisu is not suitable for freezing. Best served within 2 days of making, keep refrigerated and covered with cling wrap.